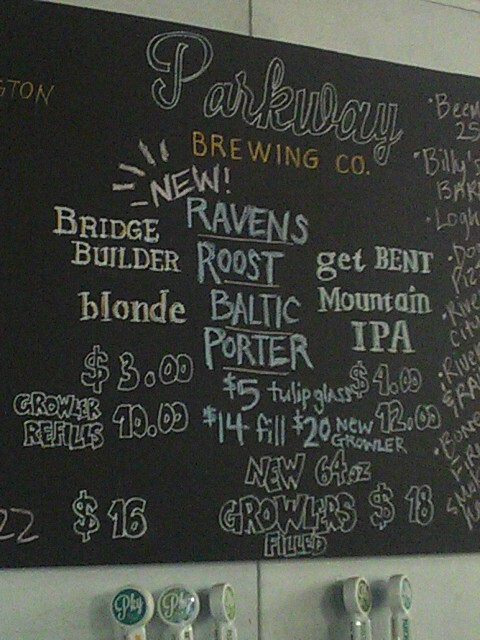 Weekend Tap Update: Parkway Brewing Leads The Weekend Off With Its New Baltic Porter! New craft beer in the Roanoke area this weekend continues to have plenty of local flavor, as the recently opened Parkway Brewing in Salem officially debuts a new beer. Head brewer Ryan Worthington has brewed up a batch of a Baltic Porter named “Ravens Roost”, the first offering from Parkway so far for dark beer lovers. Amid a small, cozy crowd and a backdrop of Beatles songs playing low in the background, a first taste last night of this black as night, amply bodied porter showed off a mild roastiness, a faint hint of raisin, and what my better half immediately described as a slightly more than toasted marshmallow flavor – think about those slightly browned edges of the campfire treat. Regardless of what your own taste buds perceive, Ravens Roost is enjoyable and definitely worth a try. It will be on tap at the brewery this weekend along with its excellent Get Bent Mountain IPA, an IPA with a beautiful aroma of orange and tangerine that prickles your nose with a sharp, crisp edge before following with the same delicious citrusy flavor, and their Belgian styled, easy to drink Blonde Ale, Bridge Builder. Blue 5 has added to a few new beers to its line-up for the weekend, including two from Oregon’s Rogue Brewery. First up is their Rogue “OREgasmic Ale”, a Pale Ale proudly brewed using 100% of its ingredients from Oregon, including much if not all of the hops and malted grain from Rogue’s own farm. The second is Rogue’s “Good Chit Pilsner”, which again uses ingredients mostly from their own farm. Scores on Ratebeer.com list the Pale at an overall 92 and the Pilsner at an 86, but really, have you ever been disappointed with anything that Rogue puts out? 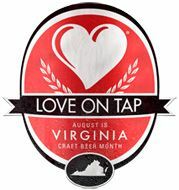 The downtown restaurant also put on Blue Point Brewing’s (NY) Sour Cherry Imperial Stout, a beer which the brewery describes as being made with plenty of chocolate and roasted malts with a “kiss” of sour cherries. A couple days ago, Blue 5 also put on tap DuClaw Brewing’s (MD) Imperial IPA “Serum”, a solid if definitely malty sweet version of that style of beer. An exciting mix of local and national craft brews are heading our way once again for the weekend – so get out and try something new and delicious! A new favorite awaits, I can sense it. Cheers! ~ by thebeerroad on March 1, 2013.